I've got some leave time off work, people who are actually willing to fill-in for me and a bit of extra money. I can have Christmas "fun time off" this year; like during my childhood when school let out for the holidays. I hope others can take holidays also. Part of the season's greatings is about rest. Time to go to Bellingham Winter Solstice Celebration which is just one of many things to do around the holiday season. 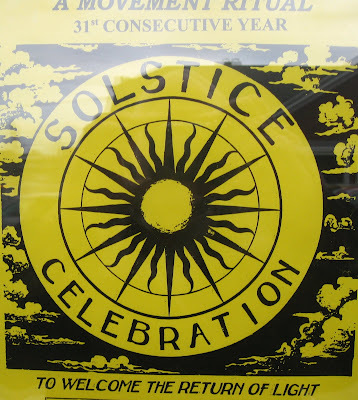 Bellingham has many solstice celebrations. This one at 7:15 PM, December 21 in Blodel Donovan Gym at the park off Electric Avenue. Merry Christmas. Many say Christmas comes this time of year as early Christians were trying to copy the successes of Roman solstice celebrations. When starting a new business, piggyback some ideas from already established enterprises.